EnvisionTEC, a leading global manufacturer of desktop and full-production 3D printers and materials announced the launch of first-ever DLP-based 3D printer which uses a true 4K projector with artificial intelligence (AI). Known as Perfactory P4K, the new 3D printer is an advanced DLP printer with the largest resolution, build envelop and deploys AI in pixel modulation. 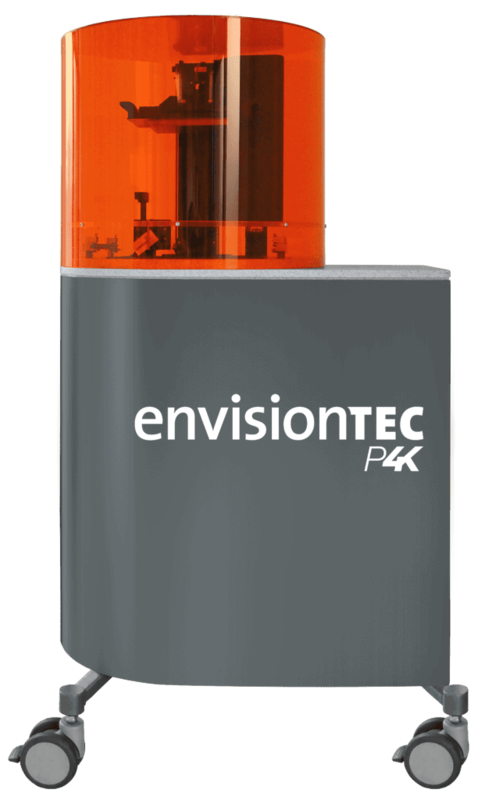 These features of the P4K help “deliver the highest accuracy parts with the smoothest available surface finish in the 3D printing space”, said Al Siblani, CEO at EnvisionTEC. The Perfactory P4K is an addition to the company’s existing Perfactory line of 3D printers which work on the exclusive Digital Light Processing (DLP) technology – one of the several 3D printing technologies. The P4K comprises of one of the most versatile and ever-growing materials portfolios that cater to specific needs of a vast array of applications and all the material formulations can now also be used on the new P4K in production capacity. With its unique features, the Perfactory P4K takes DLP 3D Printing to the next level and furthers EnvisionTEC’s promise and commitment of delivering real value to customers manufacturing objects for professional, medical and industrial market. Featuring a sharp new look with a slate gray body and an impressive projector resolution of 2560 x 1600 pixels, the Perfactory P4K will be on display at Formnext, an international exhibition and conference on the next generation of manufacturing technologies which kicks-off today in Frankfurt, Germany. About EnvisionTEC: EnvisionTEC is a leading global provider of professional-grade 3D printing solutions. Founded in 2002 with its pioneering commercial DLP printing technology, EnvisionTEC now sells a variety of printer configurations based on six distinct technologies that build objects from digital design files. The company’s premium 3D printers serve a variety of medical, professional and industrial markets, and are valued for precision, surface quality, functionality and speed. EnvisionTEC’s intellectual property includes more than 140 pending and granted patents.